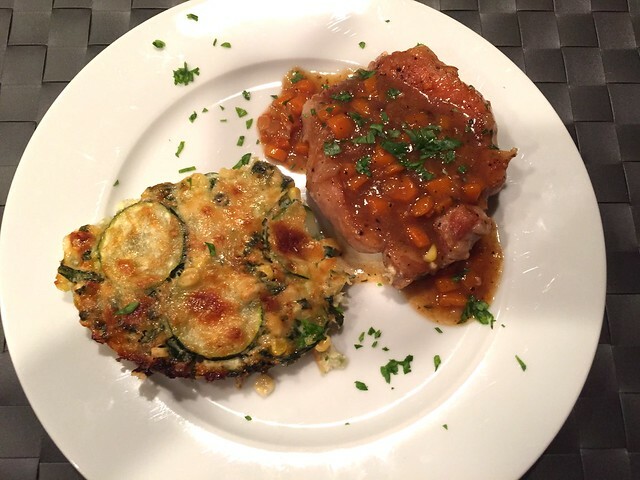 Braised Pork Chops with Carrots is one of my favorite recipes from my dad. Both of my parents are good cooks and, aside from scarring me for life by refusing to buy me an Easy Bake Oven, one of the reasons I love food and cooking. I’m not sure where this recipe came from (for some reason the American Heritage cookbook comes to mind) but I do know that the original recipe had the carrots stuffed inside the pork chops. You only have to attempt to stuff carrots in a pork chop once to know it’s not the best idea. By the time the chops were browned and turned in the pan, all the previously stuffed carrots had fallen out. Never one to waste a lot of energy on futile things like carrot stuffing, Dad pretty quickly decided those carrots would be just as good spooned over the top of the chops. And he’s right! 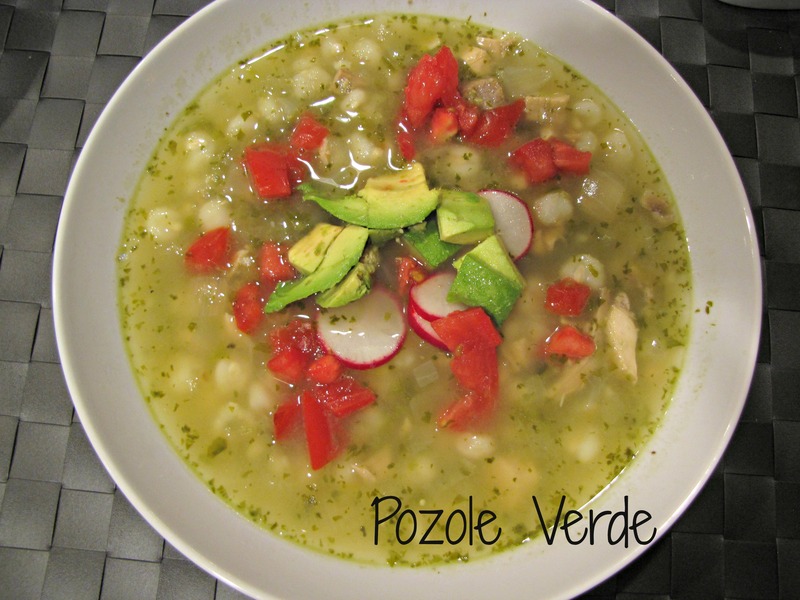 This is another great recipe that is certainly worthy of cooking for company but also easy enough to put together quickly on a weeknight for the family. 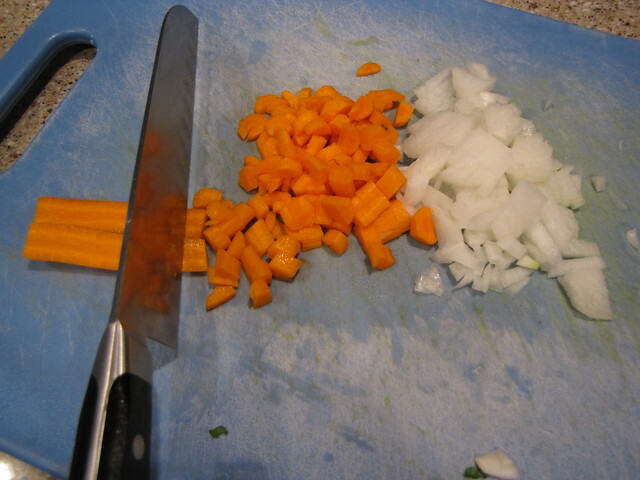 Cutting the carrots and onion into a nice, small dice is key. I’m using half of one small onion and 3 skinny carrots – about 1/2 cup each. Heat 1-2 Tablespoons of olive oil in a large skillet over medium high heat. Mine is non-stick and that seems to certainly make clean up easier. 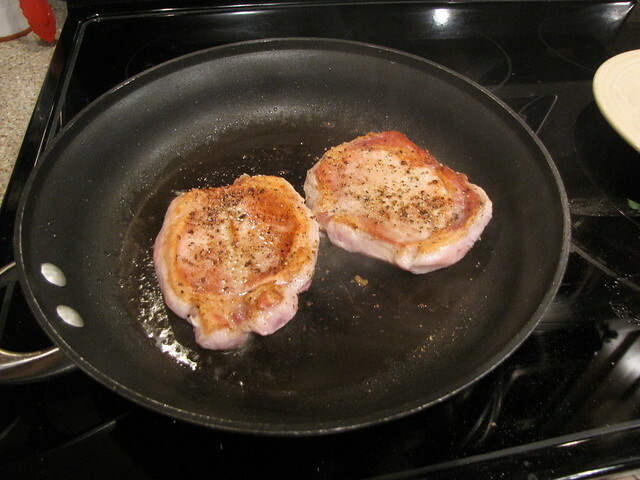 Season 2 boneless, butterfly center cut pork chops with salt & pepper and add them to the pan. 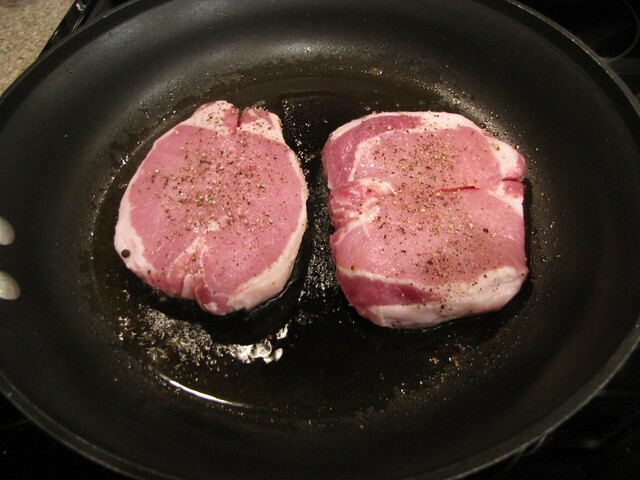 Brown the pork on both sides – only about 3-4 minutes per side or until golden. 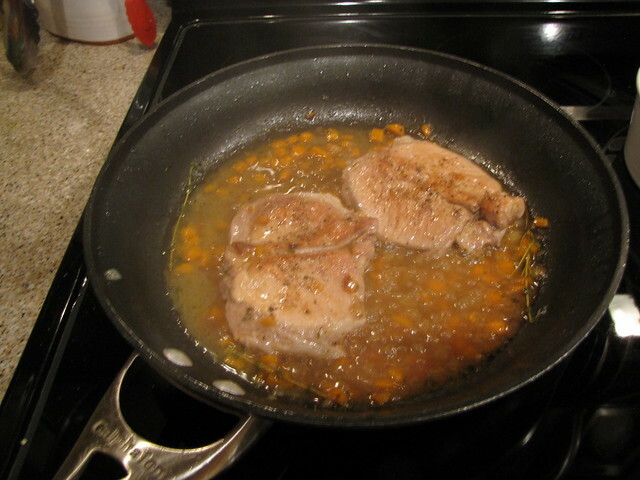 The chops do not have to be cooked through as they will continue to braise in the sauce. In fact, don’t over cook them at this stage or they’ll be tough. 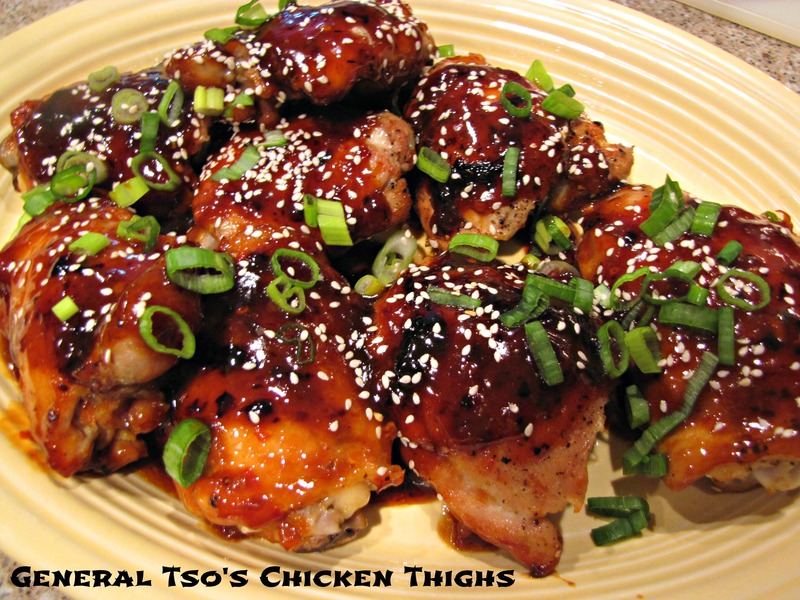 I’ve made this in the past with bone in chops and they work well too. For bone in chops, you’ll need to increase the cooking time by at least 10 minutes once they go back into the sauce to braise. Remove the chops from the pan and set aside. 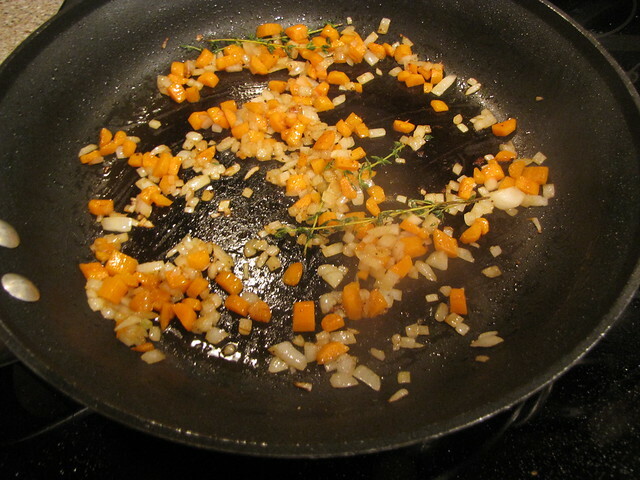 Add the diced carrots, onions, and a few sprigs of fresh thyme. I don’t even bother to chop up the thyme leaves. Just toss the sprigs right in the pan and the leaves will cook off in the sauce. Sauté the vegetables for about 4 minutes until they are just starting to get tender and slighly golden. 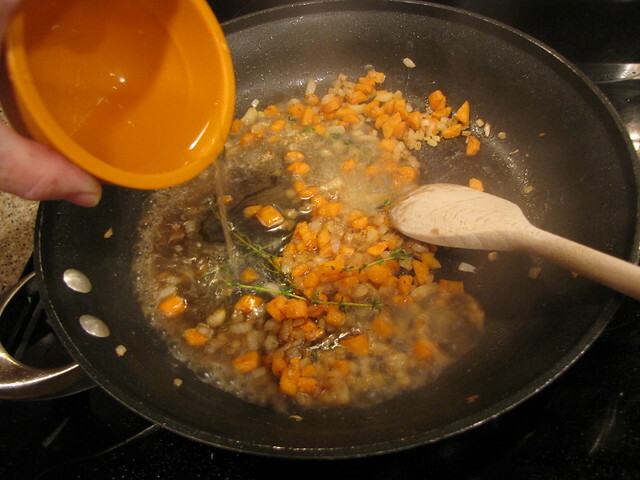 Stir 1 Tablespoon of flour (GF flour is fine) into the vegetables to make a roux or thickener and cook for 1 minute. Add ½ cup chicken broth or stock and stir to combine. 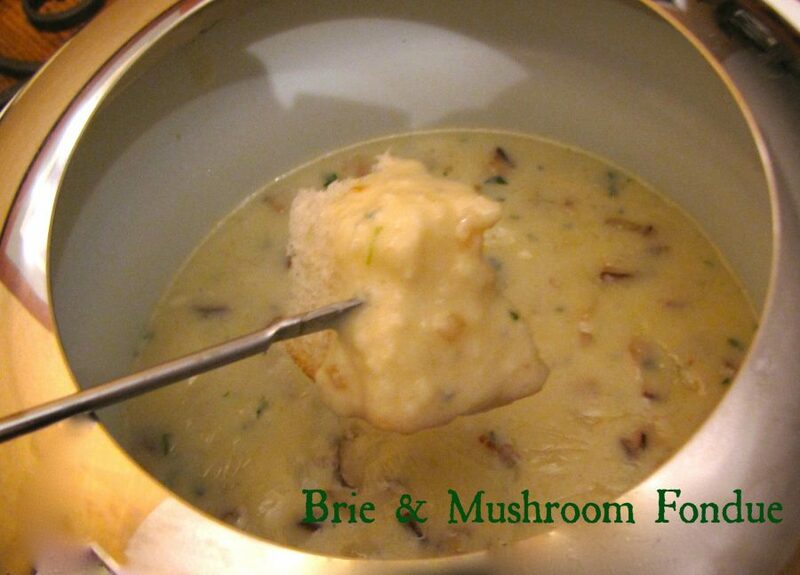 Depending on the heat of your pan, you might need to add just a bit more broth if it thickens too quickly. 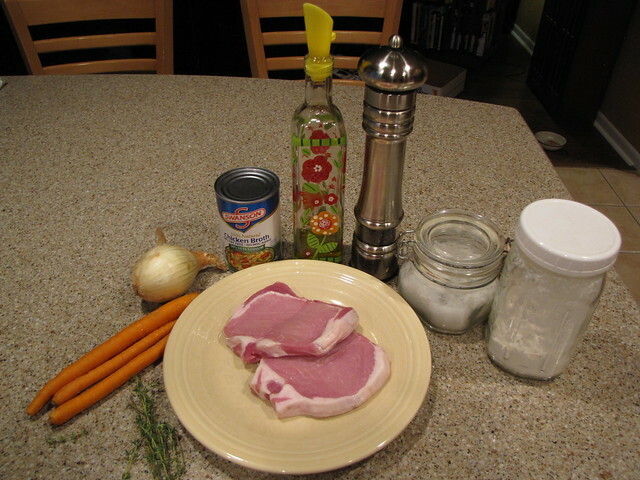 Bring the sauce to a simmer, return the pork chops to the pan, and turn the heat down to low. Cover and braise the chops for 20 minutes or until they are cooked through and no longer pink in the middle. Remove the lid for the last 5 minutes of cooking to allow the sauce to thicken. Remove the stems from the thyme sprigs and discard. Taste the sauce and season to your liking with salt & pepper. By braising the pork in the broth and veggies, these chops are moist and tender. 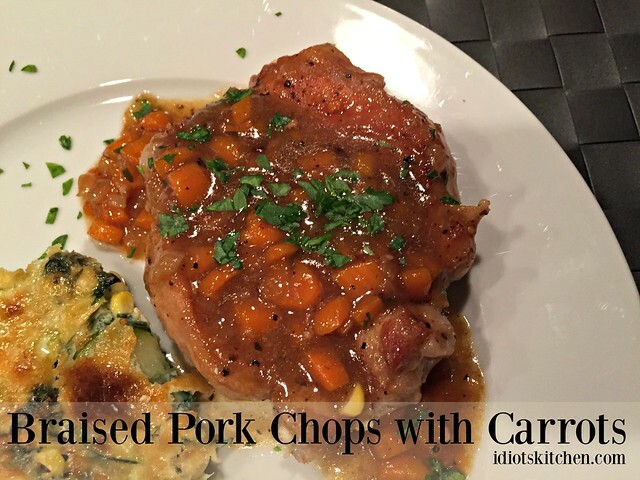 Serve each pork chop with the sauce and carrots spooned over the top. 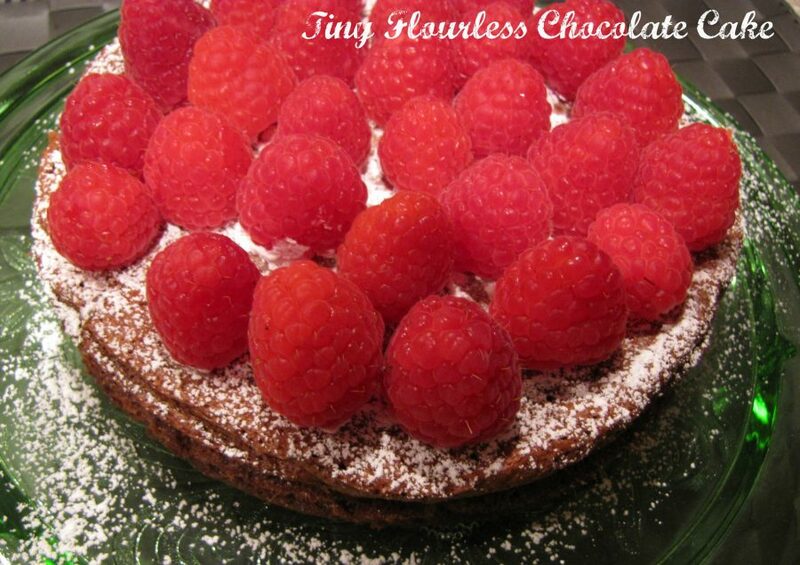 I added a sprinkling of parsley just to pretty things up. Cooking recipes from my dad like Braised Pork Chops with Carrots makes me very happy. Now I just have to get him to teach me to make his secret salad dressing! That vegetable gratin recipe is coming soon too. SO good!